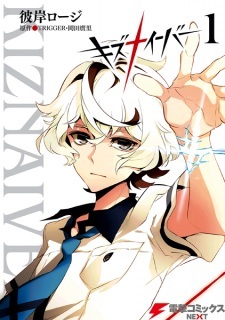 Kiznaiver is an adaptation of studio Trigger's original TV anime series of the same title. The series was simulpublished digitally by Crunchyroll. Honestly this is a bad manga. It's basically retelling the anime story but really quickly done and with some cuts here and there. Which, I don't think it's a bad idea itself, but it's done really badly? Like you can barely understand what's going on, most of the times I had to remember what happened in the anime to make sense of it. Is it supposed to be like this to make you want to watch the anime?? Like those short OVAs they do to promote manga(s)? I don't know.